AN Aberdeen academic has secured a prestigious media scholarship from the British Science Association (BSA) and is currently using it studying newsgathering operations at The Scotsman. Dr Colette Jones, from Aberdeen University’s School of Geosciences, is one of ten scientists whom annually get such scholarships, designed to provide them with hands-on experience of working in the media. 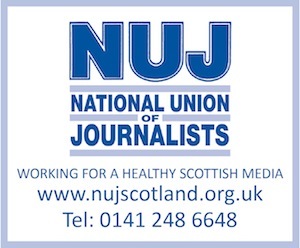 Says the university, Jones is currently on a three-week placement with The Scotsman in Edinburgh – working alongside the newspaper’s environment correspondent, Jenny Fyall. Jones – whose research focuses on the public perception of the risk of E. coli O157 – is enjoying experiencing first-hand how a science news story is constructed. She is quoted in an university statement, saying: “I’m interested in how information is used by journalists and how they reflect on their influence. Our research showed that people who knew about E. coli O157 only through what they read or heard in the media, were less likely to be concerned about it and less likely to protect themselves, effectively making them more vulnerable if visiting farms. The BSA media scholarships are open to practicing scientists, social scientists, clinicians or engineers working in the UK and are part of a wide range of science communication, festivals, public events and programmes run by the BSA.